Use when you want to explore the difference you might make—and the change that might require. Create a bold path that deflects from the status quo to change things from how they are to how they might be. Introduce the Deflection Point Drill. Have Wrong Thinkers make a horizontal line on the wall with blue painters tape. Have them write: “Today’s Path” on the line with a Sharpie. Using Post-its, ask Wrong Thinkers to describe “Today’s Path” (e.g., vulnerable food supply, disconnect between food and seed, general apathy, etc.). Using Post-its, ask Wrong Thinkers to describe “The Bold Path” (e.g., sustainable food supply, a clear connection between food and seed, real interest among the public, etc.). Tips You might spend time considering big trends you can take advantage of to help shift from Today’s Path to your Bold Path. You might also take stock of current assumptions, orthodoxies, and biases that keep you on Today’s paths, and new habits, ways of working, or capabilities that might help you create and stay on your Bold Path. Want run more Think Wrong Drills? Sign up for FREE online resources to help run the 18 drills featured in Think Wrong here. Sign up for our next Think Wrong Master Class here. Enter promo code: FREE BRAINS for an additional 10% discount. A report from Eugene Shirley, a recently certified Wrong Thinker from last week’s Think Wrong Master Class. I had a great meeting today with our favorite nuns and we’re confirmed for Campando, Jan. 20, 21 and 22 at the Maryknoll Sisters compound in Monrovia, at the base of the San Gabriel Mountains. (bears included). They will provide food and lodging, targeting LA County millennial leaders from social justice and environmental communities who feel in need of rejuvenation (a small group at first, to experiment). We will Make Stuff and Bet Small—prototyping a program they hope to replicate multiple times throughout the year. I took the Make Stuff: Name It Poster (see photo with three of the sisters pictured), used it to catch them up on our ideas from last week, and then they took it from there. I took along two extra blank posters and they wanted me to leave them so they could think wrong on their own. They loved the name of Campando, only suggesting we call this specific event “Campando Maryknoll” in order to make it their own. One sister in particular loved “Pandonista.” She had just returned from El Paso helping to settle a recent influx of emigres from Mexico who have aimed to get back across the border and with their families before the presidency changes (these nuns are fierce). “Just live it” seemed to them exactly right as a tagline. Of course, everyone LOVED the hack of Tucker Nichol's wonderful image of the Pando trees. The sisters started working on the program. They were very focused on reflection and rejuvenation. They thought the idea of this being an oasis of reflection—an idea inspired by the Get Out: That's Odd Drill (Virgin Tub) seemed exactly right. The sisters suggested we start on Friday night with a wine and beer Happy Hour, and end the weekend with a hike in the mountains and brunch at a waterfall with a ritual focused on giving Pandonistas strength for their social justice and environmental missions. The sisters have served in the most dangerous places all over the world and will share their stories on Saturday. We’ll use the Think Wrong Lab to design the program. They brilliantly suggested this be declared a cellphone-free zone (I remember seeing photos of Tucker’s images around FB on that) and that Pandonistas place their cellphones in a box on a common table during orientation on Friday night. They can give their significant others the convent’s switchboard number in case of emergency. I absolutely fell in love with this idea. 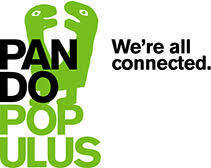 Eugene B. Shirley, Jr. is founding president and CEO of Pando Populus and a long-time entrepreneur. For twenty-five years, he produced prime-time programming for PBS and some 30 countries under Pacem Productions. He was founding CEO of a text analytics firm. He is a former Jennings Randolph Fellow at the U.S. Institute of Peace. Sign up for the next Think Wrong Master Class here. Learn, apply, and master Solve Next’s radical problem-solving system to reliably produce surprising, ingenious, and sometimes magical solutions to your most wicked questions and opportunities. Hey Chief Innovation Officer. You’re Fired. Trying to innovate within your organization is one of the most courageous or foolhardy jobs you can choose to take on, because between you and the needed change are a hundred named and self-appointed Chief Don’t F*&k It Up Officers who’ve made it their mission in life to keep everything running just the way it is. You're charged with delivering Goldilocks Innovation—change that isn't so big that it causes disruption and distraction to the revenue producing machine, but not so small that nobody notices. You need to find the enigmatic innovation sweet spot that's just right. You're expected to demonstrate measurable ROI for the unknown, in an environment where certainty is valued more than great questions. And where not knowing is seen as weakness rather than an exciting opportunity to discover. You gather motivated outlaws who want you to lead them on the bold path of change to the land of “how things could be.” But metrics, policy, personnel, business-as-usual, best practice, embedded culture, and CDFIUO roadblocks stymie you at every turn. Over time your merry band of intrapreneurs gets worn down and depressed. Now all of your effort is spent lifting the moral of some of your organization’s top talent—for fear of otherwise losing them. Make sure you and your team don’t get fired. Use the following Think Wrong Frameworks to identify a bold path from which you can deliver high impact change—and to create meaningful context to defend your efforts from forces that might otherwise destroy them. Start by drawing this simple diagram. 1. Draw a horizontal line. This line represents your Predictable Path. Below it, identify the current projects, policies, practices and structures that represent how and what your organization does today— and will continue to do if nothing changes. 2. Draw a line at 45° from the Predictable Path. This line represents your Bold Path. Above it, identify the initiatives that your organization is engaged in that represent a departure from the status quo. The further up this line and to the right, the greater the departure from the way things are. Also add what you might want to change from “Current State” if you could—be bold about your aspirational “To Be” State. 3. Plot what and who might complicate or resist your departure from the status quo in the space between the lines—conspiring to pull you back onto the Predictable Path. Engage your colleagues in envisioning the changes that need to be made, what might get in your way, and what still needs to be done and done better—by inviting them to draw this picture with you. All projects are not the same—that goes without saying. So, not all projects should operate under the same set of practices and rules. Start by drawing the 3x3 grid above. Then map the projects you plotted on the Deflection Point Framework onto the 3x3. Be honest about where they live. Depending on your organization the distribution will vary. For well-established organizations many projects will be in the top right where both the challenge and solution are certain and known. These projects are often focused on improvements in efficiency, optimization, or technology. The Think Right Practices of ROI, metrics, analytics, and best practices make a real difference here. For less well-established organizations—and organizations that are trying to shake things up—many projects will focus on disruption and change. Those are likely to fall in the uncertain and unknown territory. You’ve now identified the projects where Think Right Practices are the go-to tool set, and those where you should Think Wrong. Use the Uncertain/Unknown Framework to set new ground rules—and expectations—about which practices will be applied to which projects. Overtime, your portfolio of change (read: innovation) projects will move up and to the right as you become more certain of the real problem you are solving, the needs you are meeting, and which solutions truly work best. To check out some fantastic tools for managing your innovation portfolio reach out to the fine folks at www.valize.co. And follow Valize founder and Think Wrong co-conspirator Rita Gunther McGrath on twitter @rgmcgrath. To learn more about thinking wrong order a copy of Think Wrong: How to Conquer the Status Quo and Do Work That Matters and check out our website. If, as the leader of a multi-billion dollar corporation, the director of modest non-profit, the president of a university—or whatever your position—you are responsible for building a culture of innovation you’re probably frustrated with the results. My home state gives you a pretty good hint why. Maine is a place nostalgic in nature, evoking lighthouses, Andrew Wyeth paintings, sailboats, colonial architecture, and lobster dinners on the beach at sunset. It all fits comfortably and appealingly into our collective consciousness. “Maine, the way life should be” is our official state slogan. 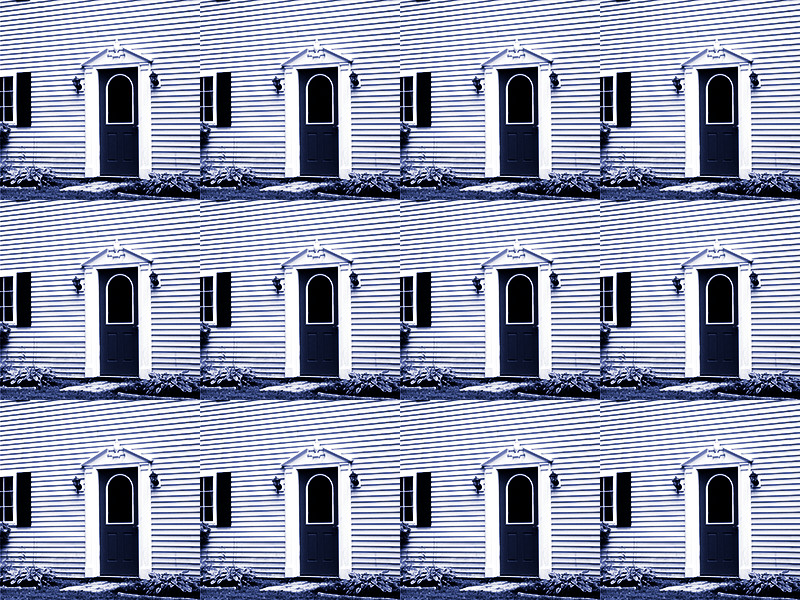 Most homes in Maine (with the exception of double-wide trailers, worthy of a later blog post) are old or built to look old. I live in a large, old house built in 1863. So, “What’s wrong with that?” you might ask. Nothing. Except that it costs a fortune to heat with oil, the rooms are relatively small, and maintenance is high. In 1863, they were building houses using 1863 technology and aesthetics. Building has come a long way in 153 years. I was recently in Carrabassett Valley, Maine, home to the Sugarloaf ski area, and noticed a relatively new “ski” house. It wasn’t built in the traditional ski house vernacular. Instead, it was built to resemble a colonial home from the 1800’s. Complete with fake gas lanterns, non-moveable shutters, and ornamental columns by the front door. So, what’s going on here—and in innovation resistant organizations? Why do people keep putting fake gas lanterns on your front doors? Well, it’s biological and cultural. A specific idea of “home” gets hard-wired into our brains at an early age. Images of cozy cottages with white picket fences universally represent comfort, safety and stability. Over time, we connect those images to those feelings through synaptic connections that forge enduring neural pathways. A superhighway is built connecting what we experience and feel to what we believe. The result? We build 2016 houses on a 1863 blueprint. Anything that varies from the norm is actively discouraged or outright rejected. What’s true for our homes is true for our organizations. We think that we’re making rational, well-reasoned decisions when we are following pre-determined pathways in our brains. We're building on old plans. We do this even when making big decisions with big financial ramifications, such as building a new office or plant, inventing and funding a new business, or adopting potentially life altering policies (think how hard it is for us to move at scale from our oil dependency to renewable energy—even when confronted with overwhelming evidence of the impact climate change on our planet). The gravity of the status quo seems inescapable. Culture change is tough. It means overcoming the way our brains and cultures conspire against innovations that threaten the way things are. But breaking the grips of our orthodoxies is not impossible. When our friends and collaborators Linda Yates and Paul Holland decided to build a new home in Portola Valley, they didn’t hesitate to let go of conventions about what a house is or is not. They were boldly set out to build the greenest home in America. Take a peek at this recent Style magazine article featuring the Yates-Holland home. No fake gas lanterns there. If you really want to lead a culture of innovation, give your people the permission, language, frameworks, tools, and training they’ll need to conquer the current orthodoxies, beliefs, and assumptions responsible for the status quo—and to do work that matters. In the spirit of Think Wrong’s Move Fast Practice, Yates and Holland are not proprietary about their home. They’ve created this website to share what they have learned and the resources required to build greener more sustainable homes. Think wrong, make stuff, do good. Meet Maria Sykes and Jack Forinash. They are Auburn University architecture graduates, the program made famous by Samuel Mockbee’s Rural Studio in rural Hale County, Alabama. After graduating from college, the “right” path would be to move to a big city and get a job with the best architecture firm possible. Time to work off those student loans and design corporate office buildings. Ugh. Instead, they decided to take the “wrong” path and move to the unlikely town of Green River, Utah, which has a population of 973 people and is located on the banks of the Green River. Definitely not Brooklyn. Once a thriving town and home to an Air Force missile testing base, the town has fallen on hard times like so much of rural America. Most of the buildings in the downtown are empty and boarded up. Some are about to collapse and one is now an accidental “guano farm” and home to hundreds of bats. Nevertheless, Jack and Maria fell in love with the scruffy little town and set up a non-profit called Epicenter in 2009 to help drive positive change. Not only did Jack and Maria deviate from the expected career path by moving to a dying town, they have executed their projects at a high level of design absent from organizations focused on rural community development. Instead of conforming to the orthodoxies of small-town non-profits, they busted the status quo and have built a fantastic headquarters for their work that helps to attract a growing community of like-minded creative insurgents. This week we ran a 2-day Think Wrong Blitz with Epicenter to generate ideas for future projects at Epicenter. Stay tuned for updates on the proposed bunkhouse/hostel (see the Kex Hostel in Iceland) to make it easier for more people and groups to fall in love with the town of Green River. If you can imagine it, you can create it. And there’s the problem. 3D printing is changing the world—it is disrupting manufacturing, logistics, models for intellectual property, and the credit markets needed for inventory. Calculations around economies of scale change radically—even if unit costs increase they are offset by process efficiency. But that’s the economics, from a human perspective we now have opportunities to create molds, casts and objects for shapes and intricacies that were previously cost or technically prohibitive. Engineers are no longer constrained as they were in the past—we can construct shapes that surprise, delight, and work in ways never previously conceived. The CFO can no longer say legendary doesn’t fit the budget. You can have a product quickly and cost effectively made just for you, when you want it. The quality assurance that came with making everything the same, at massive scale will be available on a production run of one. For many of us, our natural born ingenuity has atrophied. Our problem-solving synaptic pathways are welded firmly in place. So our ability to imagine has become the limiting factor of what we can do. Our fears and our brains hold us back. The Think Wrong Practices break those connections allow us to picture whole new ways of solving our challenges. When we practice Be Bold to set our aspirations higher, Get Out to invite serendipity, and Let Go to conceive the inconceivable—we smash those calcified synaptic pathways that kept leading us to the same solutions. During a Think Wrong Blitz, we invite Outsiders to help shake things up. People who bring own unique points-of-view, expertise, and insight—coupled with a useful naiveté about our clients’ challenges and domain. They often help make the orthogonal leaps required to escape the pull of our assumptions, orthodoxies, and biases. The future will belong to those who can imagine well—and fast. And execute even faster. Again. And again. And again. Where quality, process, and efficiency were once the most important factor of production, now imagination, quality, and speed are key to winning. Mass scale 3D printing is going to change the world as we know it. To learn just how you might harness its disruptive power we encourage you to Be Bold, Get Out, Let Go, Make Stuff, Bet Small, and Move Fast. Last November, before Game of Thrones' prophecy of "Winter's coming" became an all too chilly reality for the North East states, we partnered with the phenomenal Charles River School in Dover, MA. Their new head of school Gretchen Larkin invited us to help their school community—made up of faculty, parents and the board— to imagine the Charles River School of the future. In a gymnasium over 100 community members convened—we explored the school to discover the odd, profound and amusing (of which there was a trove); we were inspired by speakers such as Warren Berger author of A More Beautiful Question; the community discovered what was truly special about the school—beyond their engaging theme taught curriculum (for instance, the kids get to learn all their subjects by using the context of the Olympics or Marco Polo—it is fantastic). It became apparent that people fell in love with school when they visited or when they met the engaging and engaged students—we certainly did. Together, they came up with a series of small bets to get the word out about their amazing school and community (they even opened their homes for us to crash in their spare rooms!). One of their small bets was a mini camp over the Massachusetts "ski week" vacation—which we suspect was in late May—it was fully subscribed. Check out our video of the Blitz, it was a hoot! We really love this school. To add further intrigue to our relationship with Charles River School, frequent Blitz participant and talented fine artist Tucker Nichols saw the Blitz Report at our studio and said "I went there—it's an amazing place, it had a huge influence on me", although a shocking coincidence it was far from surprising. It's just marriage now—for all. Have an epic Pride weekend. Greg, John, Mike, Blanca, Becky and Elle.